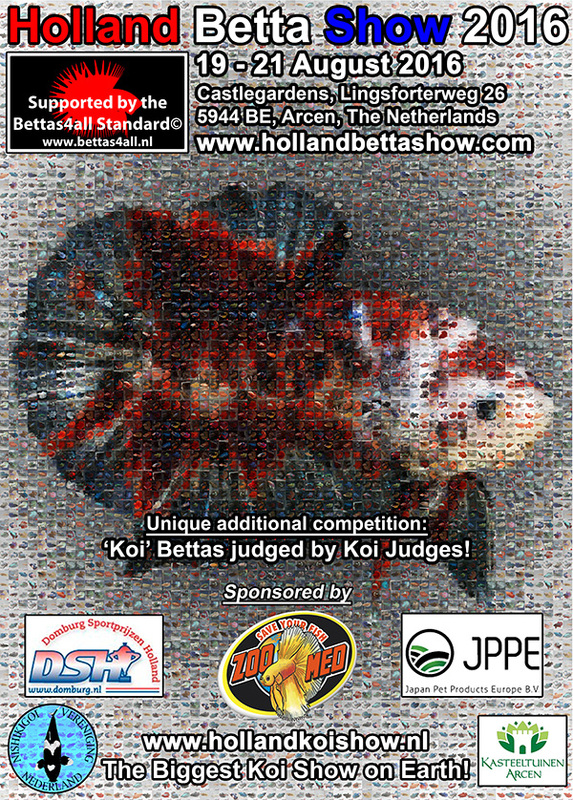 Bettas4all.nl is proud to announce the 7th edition of the Holland Betta Show which will be held during the 24th edition of the Holland Koi Show in the beautiful Castle Gardens of Arcen, the Netherlands. The Holland Betta Show 2016 can be found in the tent of the Holland Aquarium Show and is a unique opportunity for Bettas4all to introduce our beautiful hobby to the public. A dedicated team of experienced betta hobbyists will provide you with all the necessary information with respect to the keeping, breeding and showing of show bettas. At the show approximately 300 show Bettas of different color and finnage varieties will be shown. The fish will be judged on vitality, color, finnage, bodyshape and overall appearance by a team of experienced hobbyists according to the Bettas4all standard© to determine the winners of the various showclasses and the special prices. It will also be possible for the visitors to purchase some quality fish for a reasonable price. “Koi” Bettas judged by Koi judges! Besides being judged according to the Bettas4all Standard©, all "koi marbles" will be judged according to their pattern by certified Koi judges. - Holland Betta Show 2010: 265 showbettas by 26 breeders of 7 European countries. - Holland Betta Show 2011: 308 showbettas by 36 breeders of 6 European countries. - Holland Betta Show 2012: 308 showbettas by 36 breeders of 7 European countries. - Holland Betta Show 2013: 308 showbettas by 36 breeders of 9 European countries. - Holland Betta Show 2014: 308 showbettas by 34 breeders of 12 European countries. - Holland Betta Show 2015: 308 showbettas by 45 breeders of 14 European countries. Registration will open on the 1st of July 2016 and will close at the 12th of august 2016. Benching of the fish takes place on Thursday 18th August 2016. We are looking forward to welcome you in the tent of the Holland Aquarium Show to come and see the Holland Betta Show for yourself. Please mark 19-21 August 2016 (plus benching on the 18th) in your agenda! More the information with respect to visiting and/or participation at the Holland Betta Show 2016 can be found on this website and our forum. During the coming months this topic and our website will be regularly updated to provide you with all the necessary information. La 7me édition du Holland Betta Show sera tenu lors de la 24me édition du Holland Koi Show dans les jardins Castle Gardens of Arcen, Pays Bas. Le Holland Betta Show 2016 se situers dans la tente du Holland Aquarium Show et l'équipe Bettas4all présentera ce magnifique hobby au public. Les membrs du club expérimentés donneront toutes les informations concernant la maintenance, l'élevage et les concours de Show Bettas. Environ 300 Bettas de diverses vatiétés de forme et de couleur seront présentés. Les visiteurs auront la possibilité d'acheter des Bettas de qualité à des prix raisonnables. Les Bettas “Koi” seront jugés par des juges de Kois ! En plus d'être jugés selon le standards Bettas4all Standard©, tous les "marbrés koi" seront en outre jugés selon leur motif, par des juges de Koï certifiés. Ouverture des inscriptions le 1er juillet 2016 et clôture le12 août 2016. L'installation des poissons dans l'expo aura lieu le jeudei 18th aoûtt 2016. Nous nous réjouissons de votre visite à la tente du Holland Aquarium Show et en particulier au Holland Betta Show. Notez ces dates dans votre agenda: 19-21 août 2016 (et l'installation le 18). 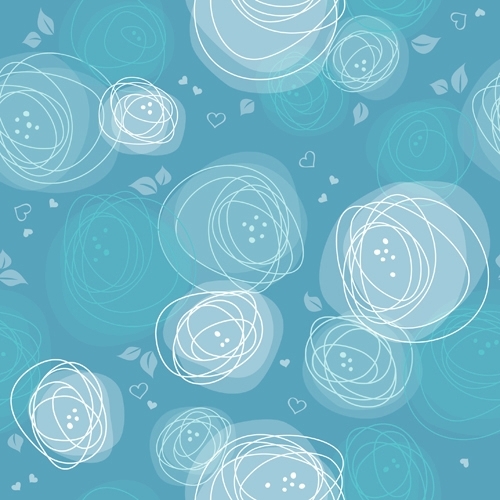 Plus d'information sur notre site web ainsi que sur notre forum, qui seront mis à jour régulièrement. Entry fee per fish: 3.00 euro. Maximum number of fish per breeder: 10*. * In order to give more breeders the chance to register their fish, we have limited the maximum number of entries to 10 fish per breeder in order to promote an even more interesting competition. This number is fixed and will not be further reduced. - All participants will receive a 3-day entry ticket for the entire event. Benching of the fish takes place on Thursday 18th August 2016 between 14:00-18:00h. You can collect your fish again on Sunday 21st August 2016 at 18:00h. Payment of the entry fee has to be made when you bench your fish on Thurday 18th August 2016. Registration will open on the 1st of July 2016 and will close at the 14th of august 2016. - 14:00-18:00h Benching & sorting of the fish. - 19:00h Start BBQ & party at the groupaccomodation..
- 8:00h Start judging of the fish according to the Bettas4all Standard©. - 13:00-15:00h End judging of the fish according to the Bettas4all Standard©. - 15:00-18:00h Judging special competition: “Koi” bettas judged by Koi Judges. - 19:00h Start BBQ & party at the groupaccomodation. - 9:30h Opening show location for the public & start sales of show fish (with exception of the winning fish and only if offered for sale by their owner!). - 20:30h Award ceremony at the groupaccomodation!